Are you planning to have some fun in the sun? 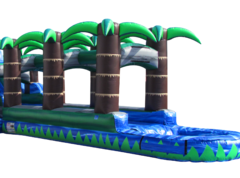 Water Slide Rentals from Let's Bounce are a perfect way to stay cool and have a blast at the same time! When the Illinois sun heats things up don't let it push your party inside; just add a water slide! 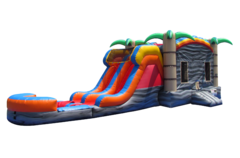 Our inflatable water slides are extremely well maintained and safe for even the littlest slider. 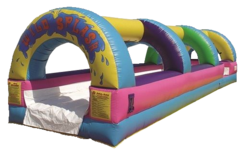 We even have giant inflatable slip in slides that kids will go crazy over. There won't be anybody that can kick their shoes off fast enough! Were you really hoping to get an inflatable with a water slide and a bounce house attached? 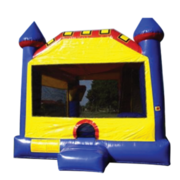 Have a look at our Combo Bounce Houses. 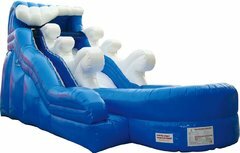 Combos have all the fun of a bounce house and a water slide combined! Concerned about the weather being warm enough for a water slide? 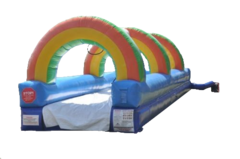 Not to worry, we have Inflatable Dry Slide Rentals that are just as much fun in the cooler weather. 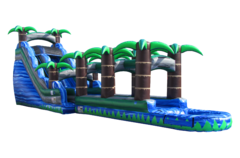 Thank you for considering Let's Bounce for your Water Slide Rentals. 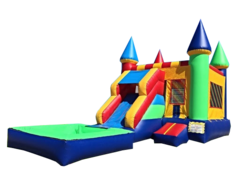 We are a local family owned Party Rental Company that is dedicated to serving our community with high quality party rentals that will meet your budget needs. Customer Service and Customer Safety are our top priorities! That's why we visually inspect and hand sanitize all equipment in between every use. We guarantee that your party rental will arrive to you in a timely manner. We serve McHenry and the surrounding areas. Contact us today and let us help you plan your party or event.